Here is a picture of my new EBAY buy...yes thats right, Topshop girl not so much anymore...I am in saving mode for University and summer holidays so trying to be as good as possible with spending! This GORGEOUS red Topshop second hand top was only £6 for the top and delivery and still in amazing condition. 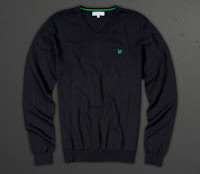 I wore it today with a simple pair of 'Baxter' Topshop jeans and a cream h&m cardigan. I would have LOVED to have shown you my happy spring/summer outfit but it suddenly began to rain terribly as I was cycling home and as soon as I got back, all my clothes had to be taken off and put on the radiator! I was absolutely soaked...bad times! But still LOVING Ebay at the moment! I suppose in a way I am becoming better with money because I just had to pay out an arm and a leg for my lovely lovely boyfriend's 18th Birthday presents, but in my head, its completely worth it. 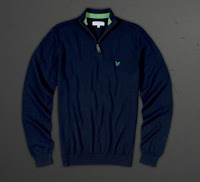 Especially after the massive grin he had on his face after receiving the Lyle and Scott Navy jumper he knew he was getting from the website, then a second surprise one in black Marino wool both from the 'Club Vintage' section. His smile lit up the room and he looked like a proud little boy as we walked to the pub and he looked down at his new clothes and said to me ' Isn't it nice...ooo i love you' :) Awwww. So anyway, my question to you today is...what is either the best present you feel you have given to a boyfriend or loved guy friend? Or what is the best present you have ever got from them?? Because sometimes I feel like the best present of all is him. The red top is gorgeous! I haven't bought much from Ebay lately...I have too many problems with sizing issues. It's so sweet of you to buy something for your bf which he really loves! My bf is not so much into clothes and fashion as he's into games and technology. If I buy him clothes, he will be like...uh..ok. Haha! That is a very good present, I wish my boyfriend appreciated clothes more it would make shopping for his presents sooo much more fun for me! But think best present I got him would be the vinyl of the song that was number one when he was born that I found for £2 in a charity shop! i just across,but i love your blog! snaps just for MENTIONING eBay lol im so obsessed! mostly i do really well buying new topshop clothes at dirt cheap prices because i think the sellers get it from a factory or something? and to answer your question this sounds really pikey but i used to always buy my ex clothes from primark for xmas LOL theyre actually quite nice! I am constantly scouring eBay for second hand Topshop pieces, it's great!